The 90's kids among you may remember the classic kid's cartoon The Powerpuff Girls. Released on Cartoon Network alongside other gems like Dexter's Laboratory, Johnny Bravo, and Courage the Cowardly Dog, the show featured crime-fighting, super-powered sisters. A rabid fanbase of youngsters (myself included) obsessed over the network's plethora of quality programming, tuning in to catch all the goodness after school. Many memories were made and life lessons unwittingly absorbed in front of the television. Cartoon Network has found a way to revive these happy memories with Powepuff Yourself, a tool for creating unique Powerpuff Girls avatars. Hosted on an interactive website, the tool is accesible on both desktop and mobile. Avatars can be customised by altering skin tone, mouth shape, eye type, hair style, and clothing. In April, the tool was released in conjunction with the repremiere of the show. Right around that time, Powerpuff avatars were shared left and right on Twitter, quickly becoming a top trend. As the tool gained popularity, Cartoon Network added in Powfactor. Launched in early autumn, Powfactor is "the special ingredient that helps save the day," or the quality that sets you apart from the crowd. According to Adweek, the avatar took off in popularity with over 12 million shares on social media. Since gaining a strong following, the tool has been translated into 26 languages, with over 100 new personalisations added. 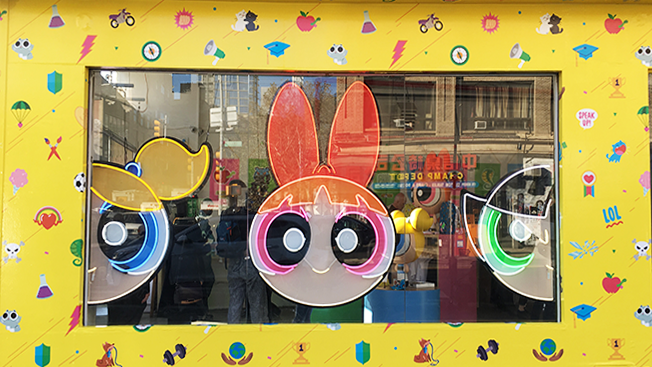 Closely following the surge in popularity, a pop-up shop opened at 168 Bowery in New York, pawning off Powerpuff-themed merchandise. 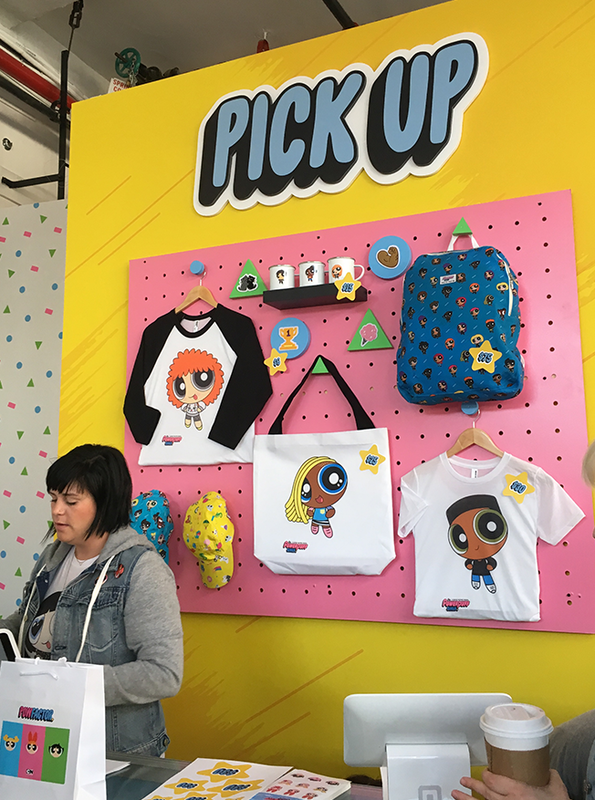 For one weekend only (18-20 November) fans could buy custom merchandise featuring their personal avatar. Visitors were able to create a Powerpuff Girls avatar in-store; from there, the avatar could be plastered onto a t-shirt, baseball tee, mug, or tote bag. Additionally, specially designed patches and pins were up purchase, featuring the different Powfactors. Pins and patches were provided by Print All Over Me. For those of you who missed out, keep in mind that this was the first-ever Powerpuff Girls-themed pop-up shop. That means that there will (hopefully) be more to come.